Complexity has met its match! Today, organizations are grappling with ambiguity, volatility and paradox surrounding the challenges they face. This is complexity. But too many leaders approach complexity the wrong way - they push their people harder and harder and tackle problems one-at-a-time over months, sometimes even years and nearly always in a linear fashion. It's like setting a pot of water on "low" and waiting for it to boil. To solve the seemingly intractable challenges that leaders bang their heads against for months - to get the metaphorical water to boil - you must generate a high amount of heat very quickly. 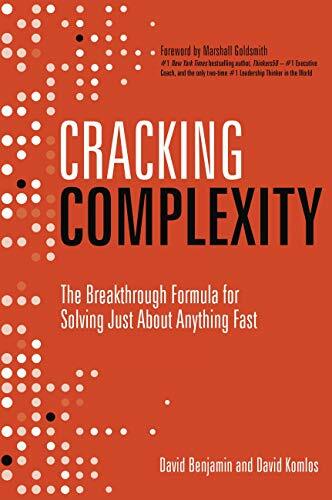 In this book, the authors share their proven formula for dramatically shortening the process and solving an organization's toughest challenges in mere days.